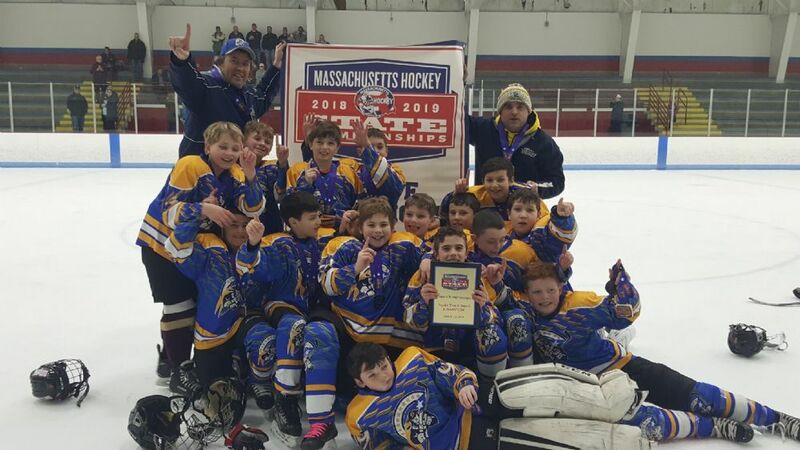 CONGRADULATIONS SHREWSBURY SQUIRT A 10U - 2019 MASSACHUSETTS STATE CHAMPIONS!!!!!! You Shop. 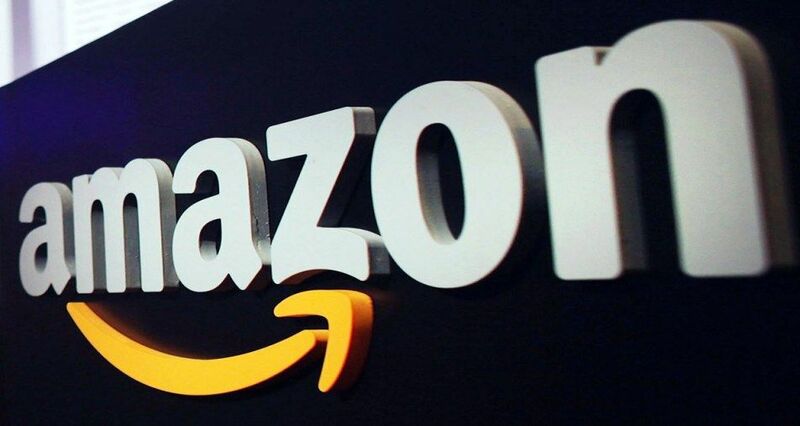 Amazon Gives back to SYHA! ALL REGISTRATIONS and INFORMATION FOR NEXT SEASON is located on the www.RevsHockey.com website. 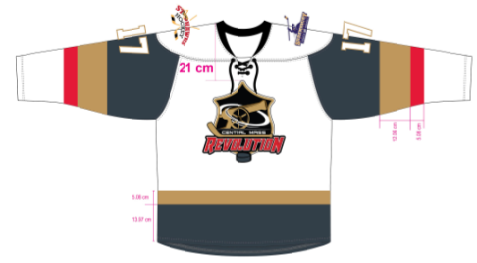 Come be part of the HOCKEY 'REVOLUTION' and join REVS HOCKEY today! Central Mass Revolution's mission as a town-based youth hockey program is to provide a place for youth players, girls and boys, to have a great youth hockey experience playing hockey. The primary goal is to provide an affordable opportunity for kids to play youth hockey to develop skills, confidence, teamwork, accountability and sportsmanship. All the while building youth hockey players to work hard, learn life lessons and of course HAVE FUN. If this is what you and your player are looking for in youth hockey, then YOU FOUND IT! Shrewsbury Youth Hockey and Starhawks Youth Hockey have come together as Central Mass Revolution. Central Mass Revolution is a non-profit, volunteer-based program to provide competitive youth hockey for players from Hudson, Milford, Northborough, Shrewsbury, Upton and as well as other surrounding towns. On www.Revhockey.com Please be sure to read all the information regarding registration and payment. All player evaluation information is listed in the drop down menu under Player Evaluation Overview. New CMR players are required to register online and pay a $250 non refundable deposit prior to the skills sessions. Current CMR players are required to register prior to skills. Prior to scrimmage sessions pay a $250 non refundable deposit. Please note CREDIT CARD payments will be available very soon. The deposit will be applied to the 2019/20 tuition. Final tuition cost will be set in the near future once final ice cost and league fees are finalized. Additional tuition details under Player Evaluation tabs. No player will be permmited to participate on ice the in scrimmage player evaluation session unless all previous financials are paid in full and $250 NON REFUNDABLE payment is received. A valid USA Hockey Registration number is required for all player evaluations and hockey leagues. Visit www.USAHockey.com and click 'Become a Member'. Registrations on/after April 1 - Register for a new USA Hockey Confirmation Number for the upcoming season valid through 8/31/20. 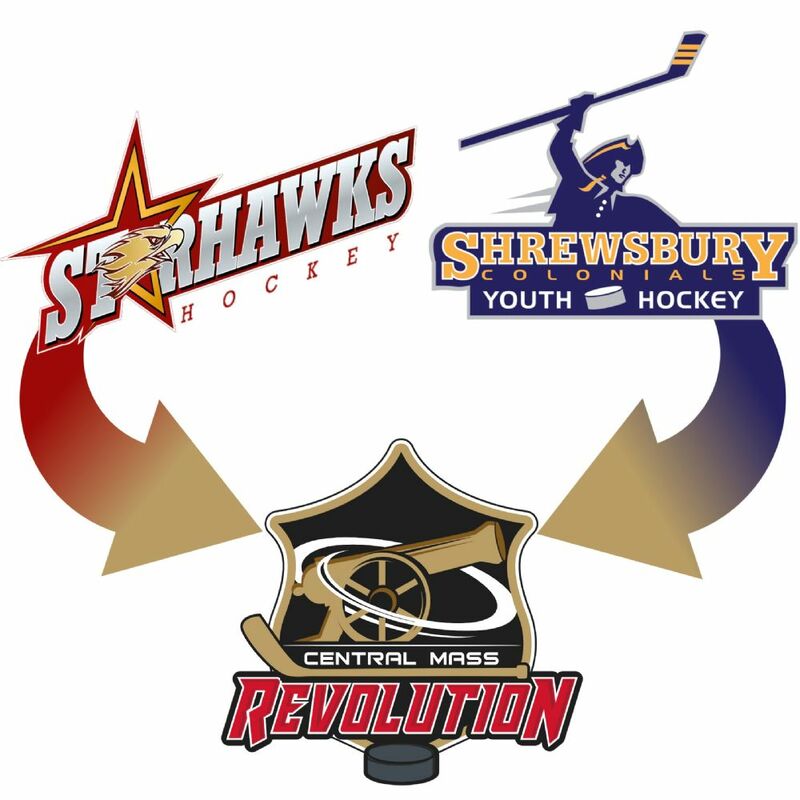 We have come together, Shrewsbury Youth Hockey and Starhawks Youth Hockey, as a multi-community youth hockey program as the Central Mass Revolution. Central Mass Revolution is a program to provide a place for youth players, girls and boys, to have a great youth hockey experience playing competitive hockey. The primary goal is to provide an affordable opportunity to play youth hockey to develop skills, confidence, teamwork, accountability and sportsmanship. All the while building youth hockey players to work hard, learn life lessons and of course HAVE FUN. If this is what you and your player are looking for in youth hockey, then YOU FOUND IT! Come be part of the ever growing Central Mass Revolution Youth Hockey program. We ARE ‘Better Together’. 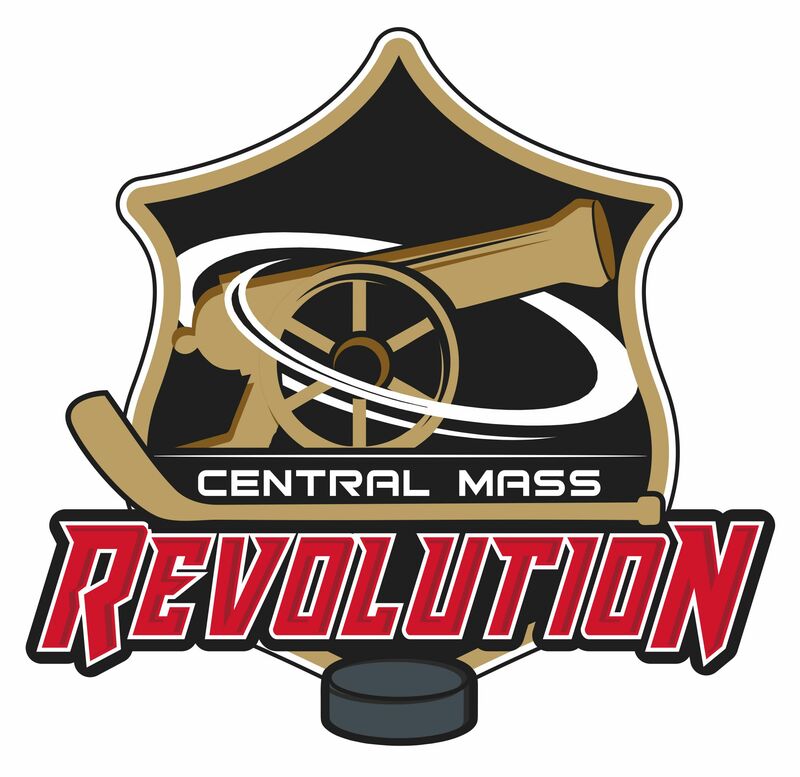 Starhawks Youth Hockey and Shrewsbury Youth Hockey are pleased to introduce the Central Mass Revolution! We are looking forward to our 1st season together and thank you for being a part of the Revolution. We ARE better together! From old foundations, come new beginnings¦ and we are more convinced than ever that it is the right thing to do to preserve youth hockey in our area. We will continue to put the players and their development first. We will continue to provide a positive town-based youth hockey experience for our families. We will continue to do wha is right and not compromise our principles, while running a non-profit, volunteer-based program. We thank everyone for their patience and understanding as we go through the merger process. There are many added layers which are requiring additional time to complete tasks. First, our new logo is above. Thank you to everyone who voted during uniform fittings. 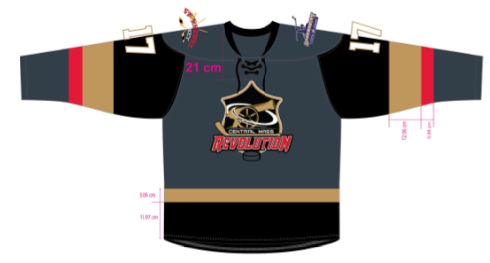 We took everyone's feedback and created something strong and classic that we hope everyone will like.The uniforms are modeled after the Vegas Golden Knights and look awesome as they are unique and this uniform style has great popularity based on the Knights success last year, but we are first in our area to claim it! As a tribute to our programs, we have included the Shrewsbury and Starhawks logos on the shoulders and we should encourage players to use old uniforms as practice jerseys or scrimmage jerseys so the past is kept alive. We are currently working on the new REVSHOCKEY.COM website. For this year we will use the new website for schedules, communication and rosters for mites, squirts, peewee, bantams, midget, lady colonials, independent teams. SYHA will continue to register House league players and accept tuition payments for current mite, squirt, peewee, bantam, independant team and lady colonials. We greatly anticipate our inaugural season together. While change can be hard, we are better and stronger together. Special thanks to Christa Duprey (Shrewsbury) and Erin Perry (Starhawks) who have, and are, leading the efforts to bring us together. Anthony Chiaradonna, John Lloyd, Harry Gaston, Craig Jennings and the boards from both organizations. and SYHA will receive .05% back!